Apple released Safari 12 on September 17, 2018, to macOS Sierra and High Sierra users. 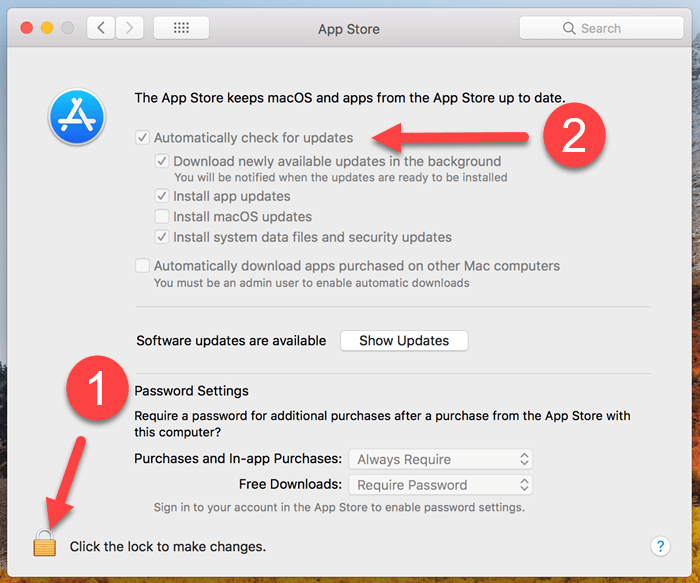 Use the Software Update tool at the Mac App Store to download and install it if you haven’t already. The updated browser includes some handy new features like favicons visible in tabs, Password AutoFill, and site-specific pop-up blocking. Safari 12 focuses on improving security, privacy, and performance too. 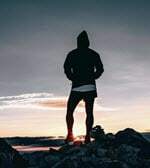 For example, it blocks content from tracking cross-site browsing (Intelligent Tracking Prevention), suggests strong passwords, and alerts you when a password is reused. 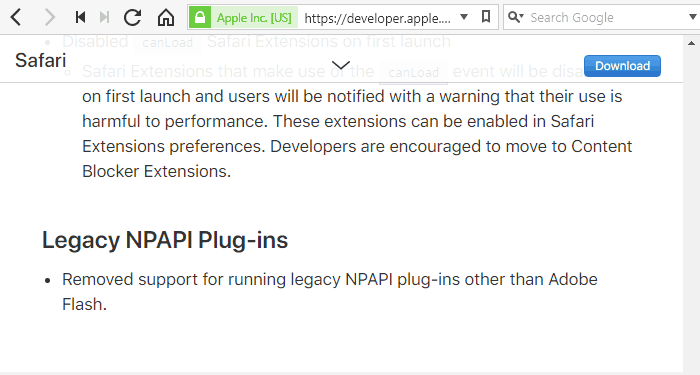 Safari also disables extensions that harm performance, and only supports legacy extensions reviewed by Apple. All the way at the bottom of the What’s New list is Legacy NPAPI Plug-ins. The “N” in NPAPI is for Netscape, a web browser born last century. Netscape Plugin Application Programming Interface (NPAPI) is an API technology required to run Java content in web pages. In Safari 12, Apple “removed support for running legacy NPAPI plug-ins other than Adobe Flash.” Thus, Safari 12 no longer supports Java content. This isn’t at all surprising since other top web browsers deprecated NPAPI plug-ins long ago. Firefox stopped supporting NPAPI plug-ins like Java in Firefox 52 (August 2017). Below are several possible workarounds. If you have Java (JRE) installed on your Mac, then you have Java Web Start (JWS). The question is does the Java application you normally run in Safari use JWS technology? JWS launches automatically if you download a Java app that uses it (usually in the form of a .jnlp file). Check the Java app developer’s website to see if they have a JWS download link for their app. 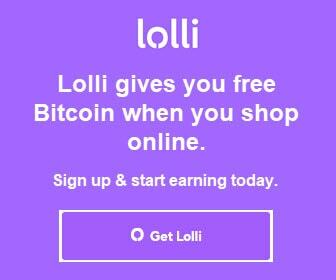 If they do, download it and save a shortcut on your desktop when prompted by JWS. Double-click the shortcut to run the app. 1. 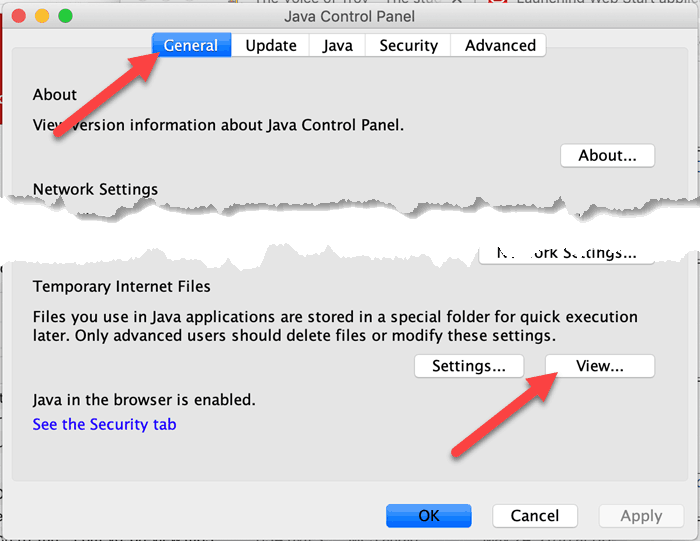 Launch your Mac’s Java Control Panel (System Preferences > Java). Launch the Java Control Panel by double-clicking the Java icon. 2. Under the General tab, click the View button in the Temporary Internet Files section. 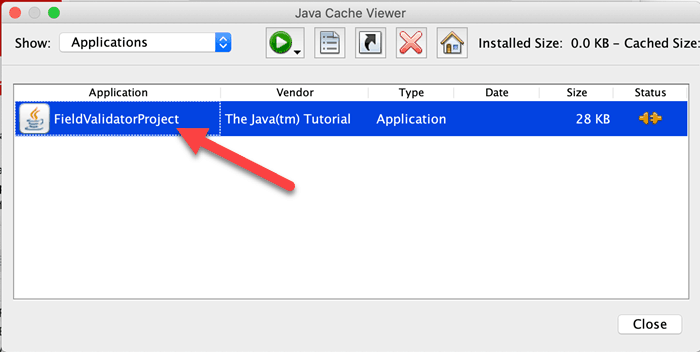 Double-click any application listed in the Java Cache Viewer to launch it without needing a web browser. If the Java app you want to use is not listed, or does not launch, discuss it with the app’s developer. macOS users may have some recourse in the form of Firefox Extended Support Release (ESR). Firefox ESR is a version of Firefox for organizations who need extended support. But it’s not that easy. Firefox 52 ESR supports NPAPI plugins, but it came to the end of its life-cycle in August 2018 upon release of Firefox 60 ESR. As a result, users who want to take this route must download Firefox 52.9.0 ESR directly from Mozilla’s CDN server. It is important to note that Mozilla no longer supports Firefox 52 ESR and that only Firefox 52 ESR 32-bit release offers support for Java applets. In the next section, however, we discuss The SeaMonkey Project from the Mozilla Foundation. SeaMonkey is built on the same platform as Firefox 52.9 ESR that still supports NPAPI plug-ins. The SeaMonkey Project from the Mozilla Foundation is a suite of internet applications. The suite includes an email client, newsgroup client, IRC chat — and most importantly to this discussion — a web browser. The browser included with SeaMonkey 2.49.4 for macOS is built on the same platform as Firefox 52.9 ESR. As mentioned above, Firefox 52.9 ESR is the last Firefox ESR version to support NPAPI plug-ins like Java. As long as you already have Java installed on your Mac, SeaMonkey’s browser should recognize it. If you have a Time Machine backup from before installing Safari 12, try reverting to it. 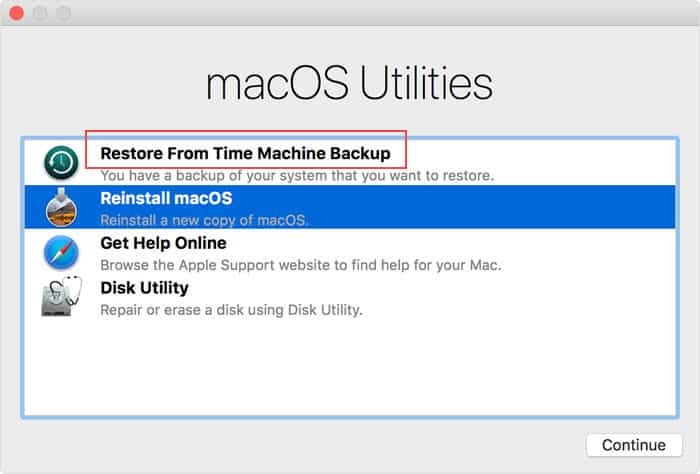 macOS Recovery offers the option to “Restore from Time Machine Backup.” Apple released Safari 12 to Sierra and High Sierra users on September 17, 2018, and then bundled it with Mojave. Before embarking on a macOS reinstallation, make sure you back up your Mac to an external drive. Next, if your Mac originally came with High Sierra, use macOS Recovery to reinstall it. Restart the computer while holding down Shift+Option+Command+R until you see the spinning globe. In the macOS Utilities dialog, select Reinstall macOS. This process reinstalls your Mac’s original macOS version (which does not have Safari 12). 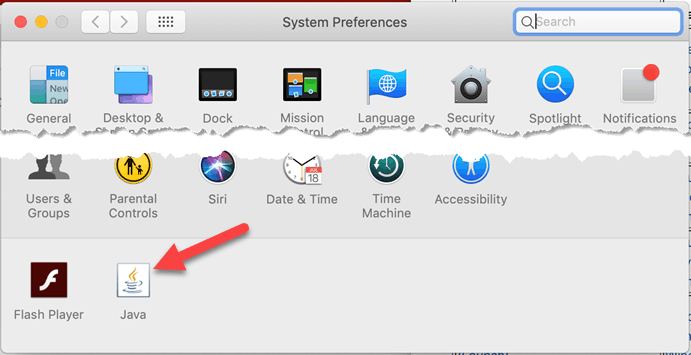 You may want to turn off automatic updates (Apple menu > System Preferences > App Store) or your chosen workaround will be short-lived. Consider keeping Install system data files and security updates checked. Thank you for visiting Tech Help Knowledgebase to learn about Java support in Safari 12. If you liked this article, follow us on Twitter @techhelpkb and subscribe to our YouTube channel to keep in the loop.